How does the Internet of Things see? Through modules like the Mu. The Internet of Things is evolving into a network of devices that sense the outside world. But how do you add sight to devices that are born sightless? In the case of toys, you might add a Mu module from Morpx. 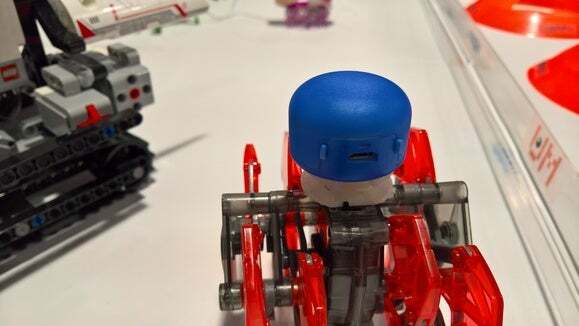 Within a few weeks, the Chinese developer plans to launch Mu for Toys, a small electronic eye module that can be added to Lego Mindstorms EV3, Hexbugs, and more. The price is cheap: $10 apiece, according to the company, which is launching the product on Indiegogo. 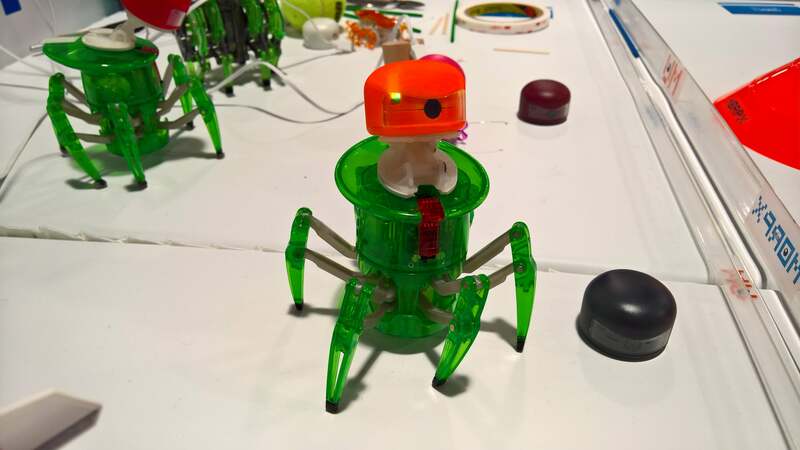 The kicker is that the module contains an IR transmitter, so that what the Mu module “sees” can be communicated to the toy itself via the IR controls. In reality, what this means is that the toys can follow a line drawn on a piece of paper, track a hand as it “leads” the toy down a path, or even recognize a ball. Morpx claims that the Mu can also recognize colors and even faces. If you’d like, you can even program the Mu to play music or light up a pair of LEDs that serve as “eyes” of sorts. The Mu sits atop a toy robot (orange) and to the side. In the few minutes we took to play with the device, the Mu-equipped toys followed lines readily enough, as well as our finger. They did a little worse when we tried to gesture to them to follow us as well. And though we tried to get them to follow a ball, they responded only to the Morpx executives' commands. Still, it’s a good first step—and at $10 a pop, an impulse buy for a hobbyist.